Hospitals – There are many ways high school and college students as well as adults here in the metro area can volunteer time at Children’s Mercy, but one of my personal favorites is the opportunity to host a Wednesday Night Live, where you and eight or nine of your friends can get together and provide entertainment for CMH patients. Diaper Bank – Diapering children is expensive and it’s a need that isn’t covered by social programs, leaving families with the out of pocket expense these babies simply cannot go without. Our local diaper bank in Lenexa collects, sorts, and distributes diapers to groups that directly impact families. Food Bank – There are several opportunities for volunteering in the warehouse of our local food bank that collects non-perishable items to distribute to families in need. You can spend time organizing, sorting, and packaging items that will go out into the community. My husband and I sometimes joke that our daughter is a hoarder. Her things are everywhere and, simply put, she just has too much stuff. So anytime she wants something new (which, thankfully, isn’t that frequent), we have her select seven to ten things she wants to donate to others in exchange for the one new item. Not only does this help us keep the clutter at bay, it also benefits the community as well. 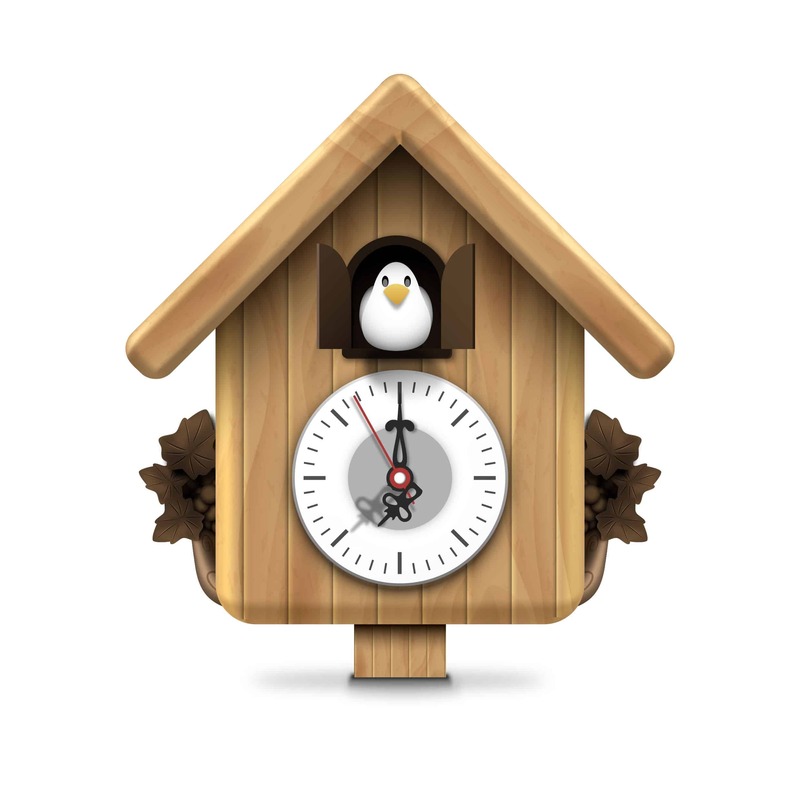 You can donate your unwanted wearable items, small appliances and electronics to organizations that own and operate local thrift shops in the area and make a difference simply by decluttering your home. If you’ve got the extra time to spare and are feeling up to the task, one of the best ways to get rid of unwanted or unneeded items is to host a garage sale. The extra income gives you the opportunity to make a difference right here at home. 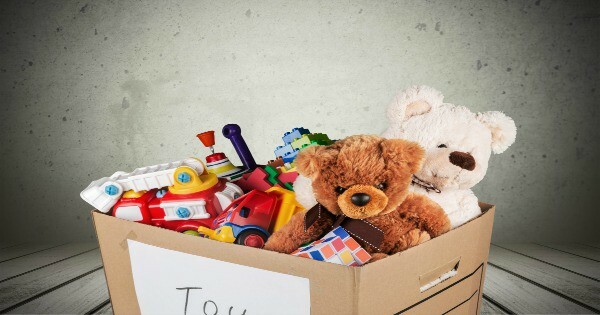 By donating some or all of the money collected from your garage sale to an organization like Children’s Mercy, you can directly impact children here in KC. 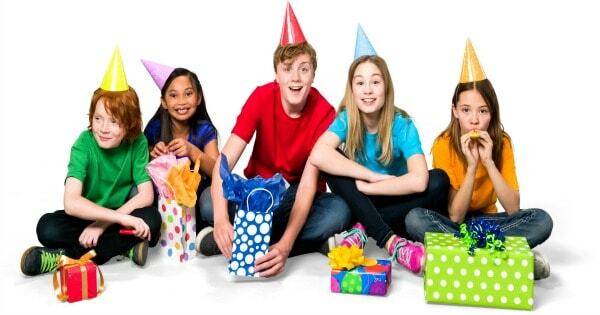 Birthday parties are a great time to collect new toys, books, and games for organizations that impact kids in need. Children’s Mercy Hospital accepts brand new items year round for patients staying at the hospital and your family will have the opportunity to help support an incredible cause you can feel good about. Stay tuned for an exciting new program that Children’s Mercy is launching later this summer to make giving back at birthday parties even more fun. Baby showers are another great opportunity to help give back to the community. Ask guests to bring an extra package of diapers, wipes or other baby items to donate to a local shelter that will help support local women and children here in Kansas City. Holiday Meals provide the ideal time to ask friends and family to bring non-perishable pantry items to donate to a local organization or shelter that will directly impact the community. Larger organizations have boxes and barrels you can pick up, fill and bring back making the process very easy. Date nights are such an important part of maintaining a healthy marriage when you’re parenting, and attending special events and fundraisers not only provides you with a fun evening out with your significant other but also makes a difference in our local community. Be giving of your nights out by attending special activities around the metro supporting incredible organizations around town. Children’s Mercy, in addition to their ongoing community activities and fundraisers, hosts two major events each year that you can get involved with, like their annual Red Hot Night and Big Slick Fundraiser. When I was growing up, like many of you I suspect, my family had a large glass jar we collected spare change in throughout the years. Over time, that jar became too heavy to carry and it was a great reminder that the small change we were giving each day added up over time. Children’s Mercy just launched a new fundraiser that applies the same logic to your giving. 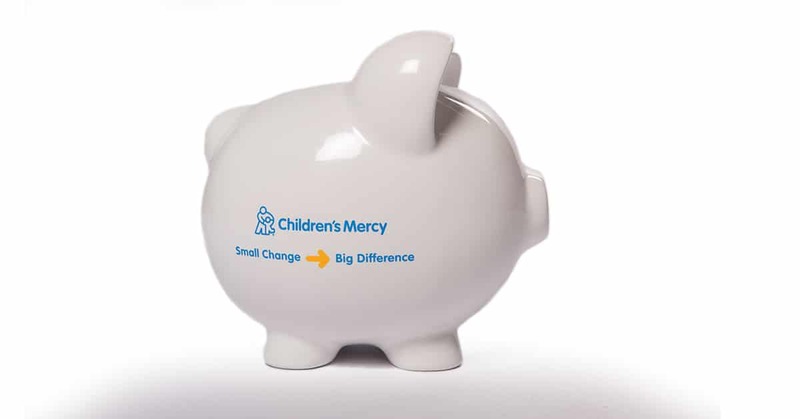 The Small Change – Big Difference campaign encourages families to collect their change, that really adds up over time in adorable Children’s Mercy piggy banks. Purchase your piggy bank today to make a major and lasting impact on the hospital. If we all do what we can, with what we have, we can make a huge difference in our little corner of the world. iFamilyKC is proud to partner with Children’s Mercy to bring you inspiring content, tips and tricks, and helpful resources. Purchase your Small Change – Big Difference piggy bank today for only $35 and start your family’s contribution. Check out the Children’s Mercy website for more information on this program as well as some tips for families wanting to give back. 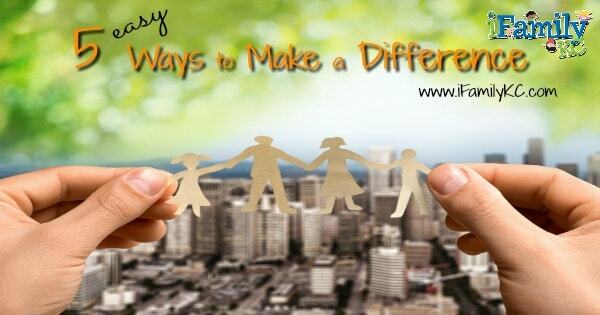 Everything you do makes a difference! Tell us how your family loves to give back by sharing on your Twitter, Instagram, and Facebook. Be sure to use the hashtag #smallchange so we can follow along! Family Fun in Kansas City with Paint, Glaze, and Fire!